KCAL's holiday decoration battle is on! We're looking for the coolest house display in the IE. It doesn't have to be the biggest, just the coolest in it's own way. And whoever the KCAL rockers vote as their favorite is gonna score $500 cash to help cover their electricity bill. Submit a pic of your house today, or tell your neighbor about it, and Fight For Your Lights! And just for voting, one lucky KCAL voter is going to score Rolling Stones tickets for their show at the Rose Bowl on May 11th! Contest is open to Riverside County and San Bernardino County residents, except employees and the immediate families of KCAL-FM, SBR Broadcasting, all other Riverside county and San Bernardino county radio stations, all “Fight For Your Lights” contest sponsors prize providers, or their subsidiaries, divisions, affiliated companies, participating manufacturers and advertising agencies, the determination of which lies solely and exclusively with KCAL-FM. Contest is subject to all federal, state and local laws and regulations and is void where prohibited or restricted by law. To enter , all Contestants must submit a photo of their holiday lights to KCAL-FM at www.kcalfm.com beginning December 6th and continuing through the end of the promotion. Pictures will be displayed on the website and listeners will be encouraged to vote online beginning December 14th until December 21st. On December 21st, 2018, the voting will be narrowed down to the top 10 pictures as determined by KCAL. All qualifiers must be 18 years of age or older to enter. By submitting a picture you acknowledge that the picture submitted is a picture of your property. Your submission must be reviewed and approved prior to being posted in the Gallery to be eligible for voting. By participating in the “Fight For Your Lights” contest, all contestants acknowledge that some prizes will not be available for delivery to the grand prize winner immediately after the contest end date. While KCAL-FM will make a best-faith effort to obtain all prizes as rapidly as possible, contestantsagree to hold KCAL-FM and all contest sponsors and prize providers harmless from any specific delivery date and from all liability arising from prize delivery and use. The odds of winning the contest will depend upon the total number of qualifiers. Prizes are not transferable. No substitution of prizes will be made except as may be necessary due to availability. Grand prize winners may exercise the right to not accept any part of the grand prize, but neither the prizes accepted or not may be exchanged for cash. In the event of a dispute, the decision of KCAL-FM is final. Winners are solely responsible for their own actions and agree to hold harmless KCAL-FM, all “Fight For Your Lights” contest sponsors/prize providers, and their subsidiaries, divisions, related companies, officers, directors, employees, and agents from any liability arising in connection with their participation and use of prizes. 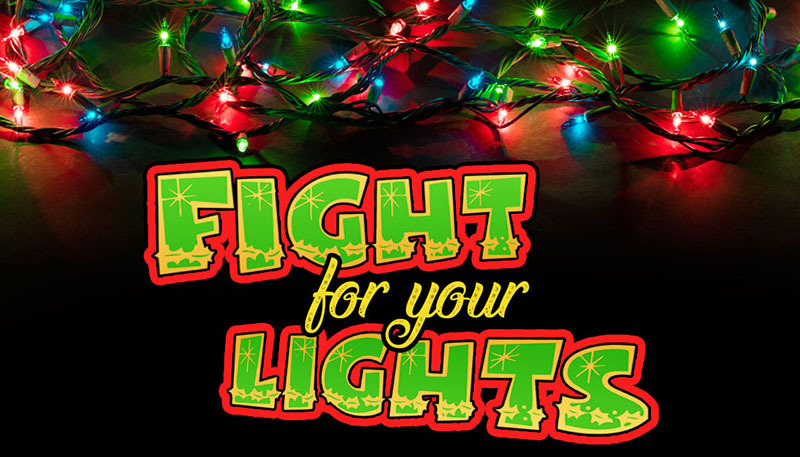 Winner and other participants consent to the use of their name and/or likeness for publicity purposes in connection with the contest without prior approval or compensation by KCAL-FM and all “Fight For Your Lights” contest sponsors/prize providers.